I love planners. I think they're all fun, and they all serve a great purpose for me. 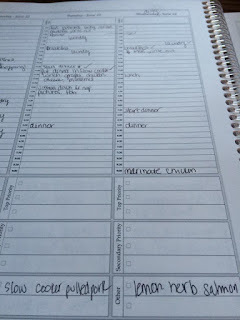 I wish I could have them all and spend all day writing all the things that I should be doing instead of planning in them. Ahhh, peace. 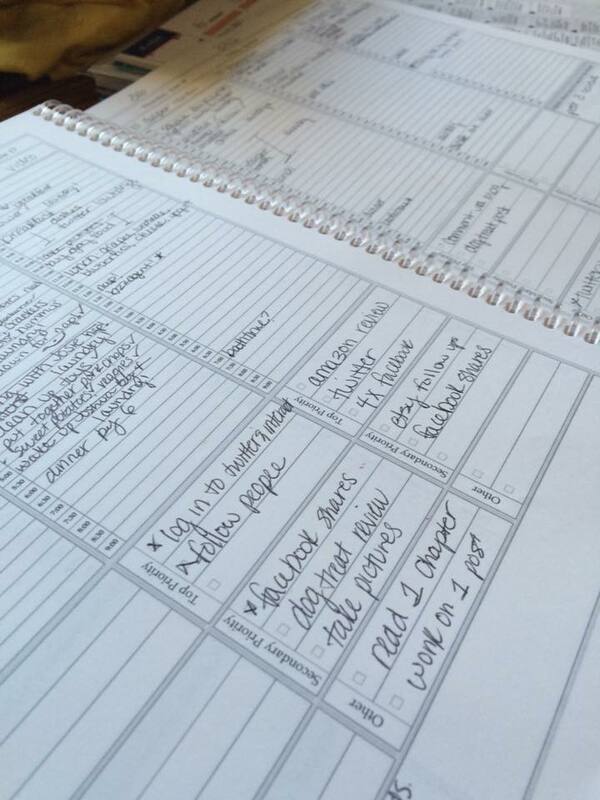 This planner is great for setting goals. It is designed for you to plan goals for your month at the beginning of the month and each week you'll really focus on those goals. There is even a place at the beginning of each day to have a focused goal. There are steps on the bottom to get to the goals you want to achieve. 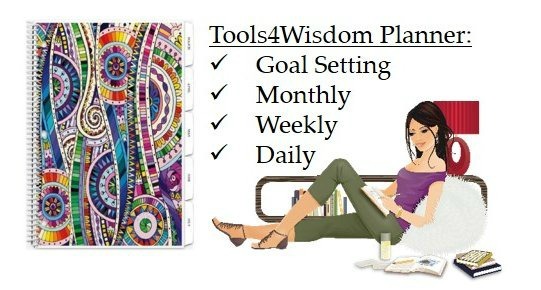 This is a goal oriented planner. 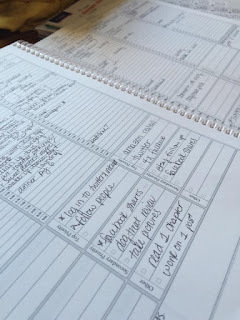 If you are planning to use this as a blogger, or mother, or really anyone who has goals you will have a lot of success with this planner. It has every half hour out for you to plan in. I use arrows a lot to designate longer than half hour projects, such as dinner or lunch. 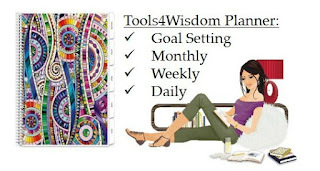 My Tools4Wisdom Planner helps me have a simple goal and turn it into an achievable goal by helping me formulate plans and ways to make that goal a reality. I'm happy I have this planner! It is my favorite! I even use the bottom for my dinner plans at the end of the day. That looks like a very useful planner. That definitely looks quite heavy duty!! Love how much you can actually fit in per page! Thanks for sharing.